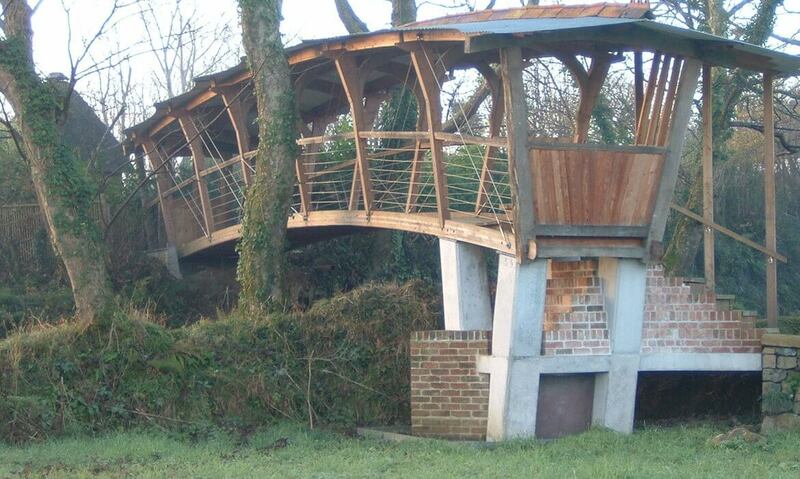 A heroic bridge that spans 12.6m (39ft) from a private garden, over a bridleway to another garden 8ft below. Built during 2004–2005. 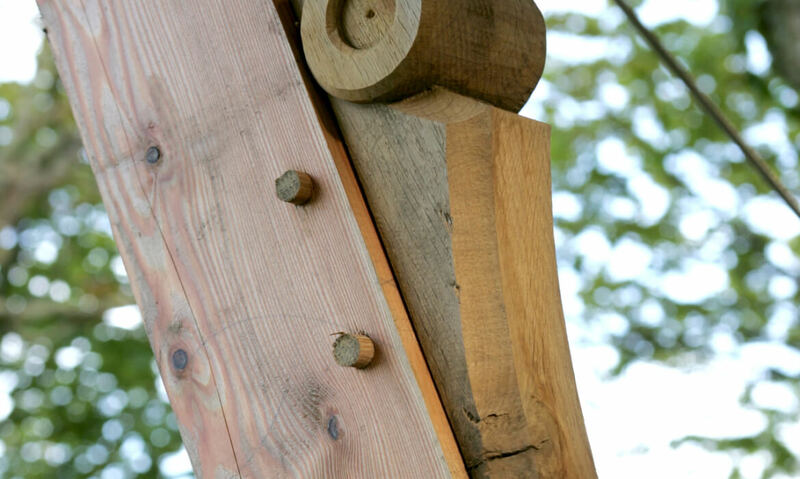 Materials: Oak, chestnut, larch and Douglas fir. 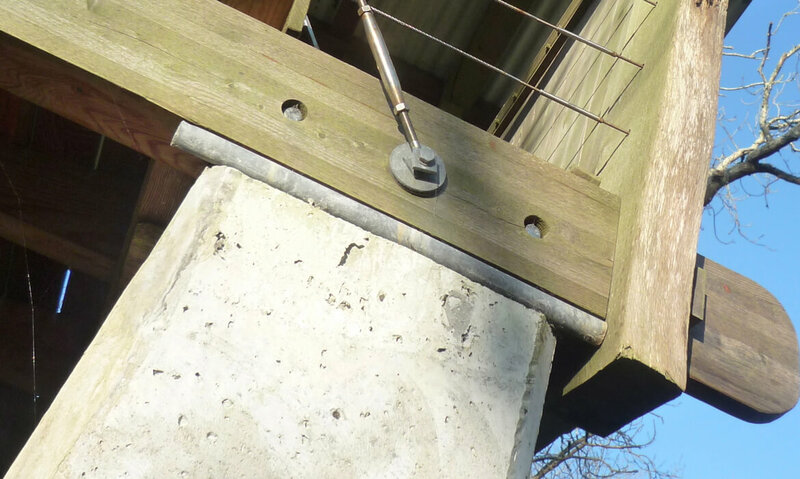 Stainless steel tension wires and abutments in reinforced (in-situ) cast concrete. Structural description: Double-sided girder bridge, engineered to 5Kn per m2. 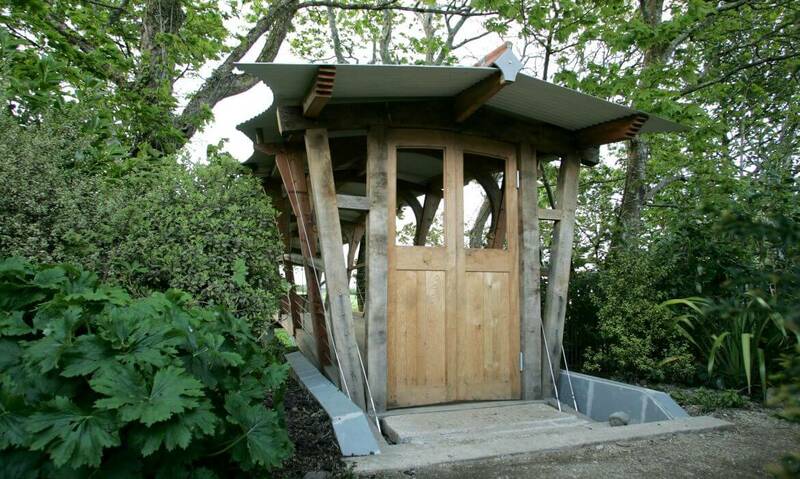 Construction: Workshop of Matt Robinson and lead carpenter/boat builder, Simon Venner.